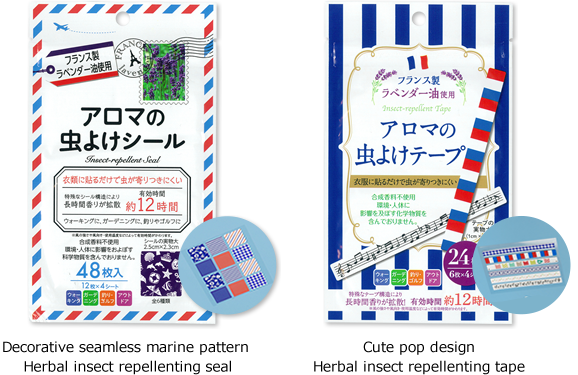 ﻿ Herbal insect repellent seal & tape | TECHXCEL JAPAN CO., LTD. Protect yourself against insects with aromatic French lavender scent in a stylish way! Naturally protects you and your family against insects with aromatic lavender essential oil! This item is made with fragrant lavender oil from France. Not only does lavender oil smell simply wonderful, but this essential oil also provides effective mosquito – repelling power. 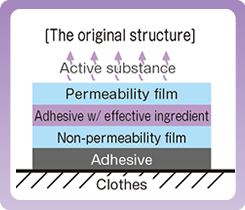 Stick this seal / tape to your clothes’ collar, sleeves or hems, and the effect lasts approximately 12 hours. ※The effective time varies depending on temperature or the wind ’ s strength and direction. 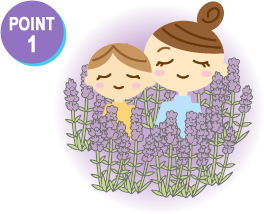 Enjoy the fragrant French lavender scent and share it with your family! Decorate your clothes with this depending on your style and situation. 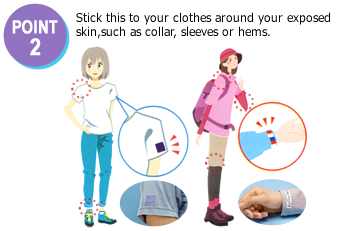 Stick this to your clothes around your exposed skin, such as collar, sleeves or hems.